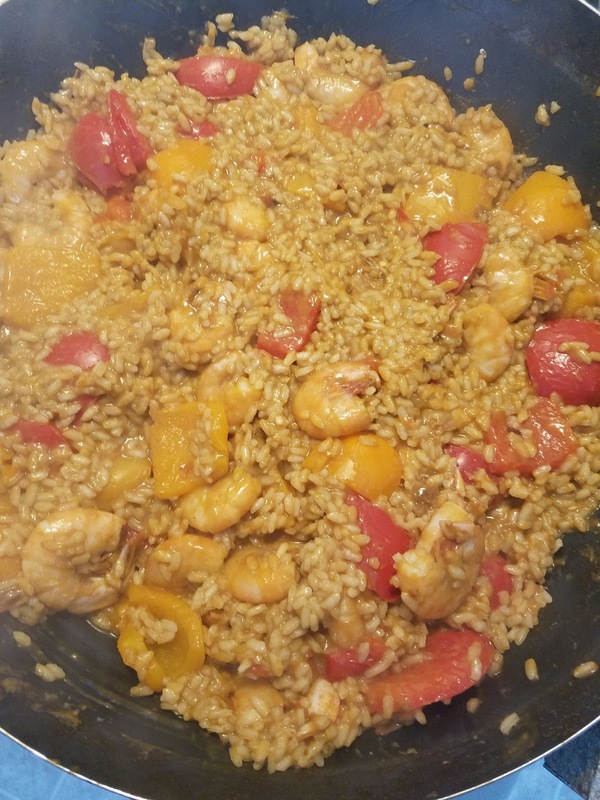 Today is National Paella Day and I decided to celebrate it with a large pan of seafood paella. Paella is a versatile dish that contains seafood (shrimp and mussels), chicken and rice; they are all mixed with a cooking base which looks like a thicker soup broth with vegetables and spices added. Paella has saffron; as it is already included in the Aneto Seafood Paella base, I didn't need to add any more. Here are the six easy steps to make an elegant paella with very few ingredients. Serve in plates and enjoy!